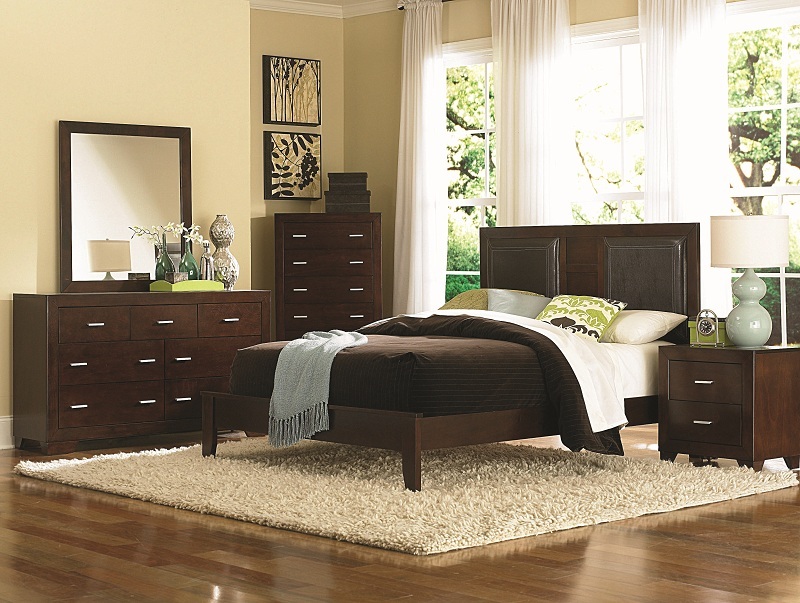 Beds and dressers take up a lot of concern and investment in terms of time and finances. They are often made of solid wood which is heavier than ordinary wood. When placed in bedrooms with hardwood floors, these beds and dressers can leave large scratches. They can also leave massive dents and depressions in the floor. This means you can never reposition your furniture at whim. If they are padded with a quality rug pad on each feet of the bed and dresser, this damage can be prevented. 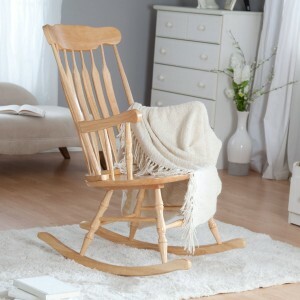 Rocking chairs have become a fascinating addition to every household. They are fun to sit on and sip a cup of tea on a lazy day. If a child comes and sits on a rocking chair, you cannot possibly control them if they begin dragging the chair around or rocking too hard. So when getting a rocking chair, you can simply pad it from the bottom. Not only will it protect your floor from scratches, it will also add a further bounce each time you rock it. You no longer have to prevent it from being used too much. Sofas come in various shapes, sizes and weights. A home setup is incomplete without sofas. There are two options for you to prevent their weight from damaging the floor. You can either use an area rug or place the sofa on top. This will also ensure that women wearing high heels do not scratch the surface of the floor. 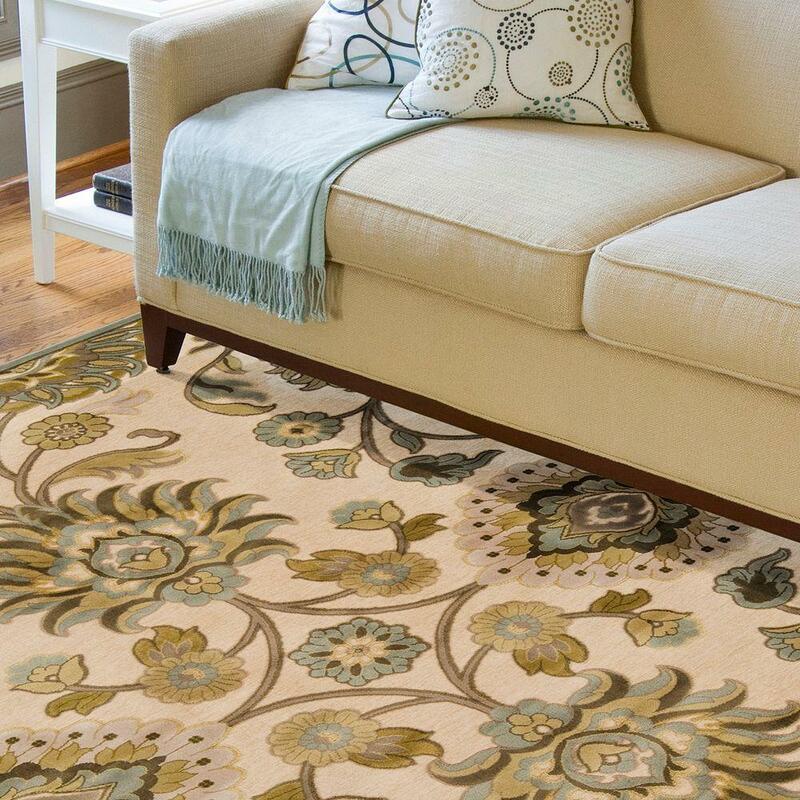 However, if you do not wish to use an area rug, you can get a quality rug pad for each foot of the sofa. This will resist the pressure of the sofa and the people without hiding your fancy new hardwood floor. Dining tables require a lot of investment. They are either small and circular or large and rectangular. Either way, if you have a lot of guests over or even if your own family is enjoying a meal, you cannot stop them from dragging the chairs each time. Without chair paddings, severe and vivid marks will be left on your floor. 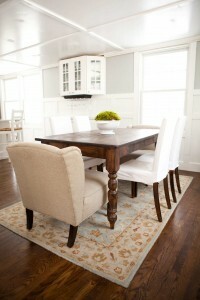 In case you have extra rug pad material left over, then you can use it underneath the table legs to cushion them. It depends on how thoroughly you wish to protect your hardwood floors from any damage. Patio furniture is usually made of plastic, which means it is okay for rough use. 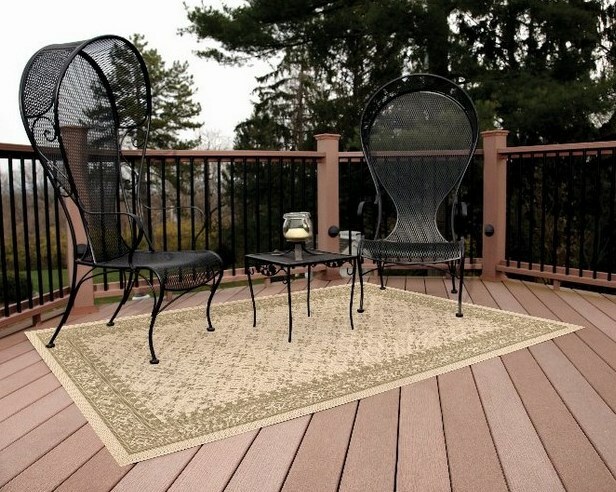 However, if your patio is also lined with wooden tiles, the furniture might cause damage. Outside furniture is usually used roughly. If you line the furniture with the cheapest pads, the damage can be prevented. You can even place an entire quality rug pad as it is. This will provide insulation if you want to sit outside in the cold. You can even allow your toddler to sit on the floor without worrying that it might fall and get injured. Refrigerators do not need to be filled to the top to become heavy. They are generally very heavy and apply a lot of pressure on the floor. You can use a small area mat, pad it properly and then place the fridge on top. This will prevent the pressure from reaching the floor. 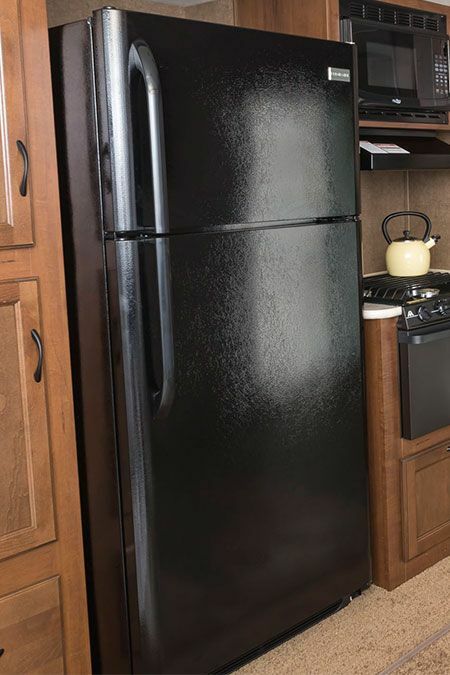 It will also make cleaning the fridge easy, without worrying about water dripping on the floor. The pad will resist the water and allow in carefree cleaning of the floor and the fridge. These are some of the many ways in which a quality rug pad can help you secure your furniture and home. Premium rug pads are emerging as one of the best and most effective rug pads on the market. There are many different types of premium pads so if you are planning to buy one, make sure it suits your individual home requirements. This rug pad does a great job keeping slippery carpets and rugs in one place. They make for an even and smooth floor surface to walk on. Being highly thick and dense, these rug pads flatten carpets and make sure they do not get wrinkled and creased by furniture or other hard surfaces. No-Muv rug pads live up to their name by making sure to keep carpets locked firmly in one place so they do not move about and damage floor surfaces. They can be used safely with all types of rugs and carpets and will not stain, discolor or mark your expensive carpet. 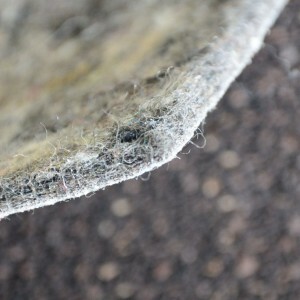 This rug pad extends the life of your carpet by keeping it in place which keeps loose fibres from fraying over time. In addition, rugs and carpets can get damaged by heavy footsteps and pressure from furniture. No-Muv rug padding offers the bulk necessary to keep your carpet smooth and wrinkle-free so that it retains its looks over time. This rug pad is mould and mildew resistant, and is made from eco-friendly natural rubber which makes it a good green accessory for homes. It is hypoallergenic and does not give off unpleasant smell, even when damp. This quality makes it a suitable choice to line your childs bedroom. This rug pad is your best option if you want to keep your rugs and carpets from moving around. Often terrazzo, marble and tile floors are more slippery than others and the carpet will constantly slip about the room on these floors. With its distinctive texture, it will keep any type of carpet slipping over any kind of floor. 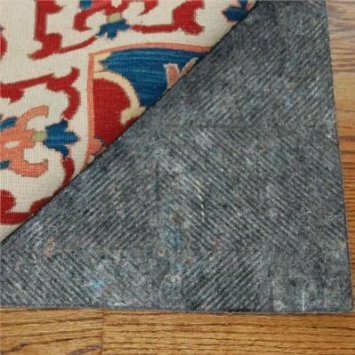 This rug pad can be safely used with all floors, including hardwood, ceramic, tile, marble, vinyl and concrete floor surfaces. Being sensitive, many floor ties sustain damage easily through marring and staining. It will ensure your floor remains safe and protected. They are also bulky enough to provide for a soft, comfortable walk on hard concrete surfaces, and greatly reduce the risk of tripping. In addition, these rug pads are eco-friendly and biodegradable, and conform to strict quality and environmental standards. They are mould, mildew and bacteria resistant. They do not cause any allergies or allergic reactions, nor do they give off bad odour. This makes them a good addition to a greener and healthier home. Premium rug pads are the best rug pads as they work with all carpet types and all floor types. They provide a thick, extra layer of cushioning support for your floor and carpet. Owing to their range of advantages, these rug pads are in high demand among homeowners and have earned high approval ratings from multiple home experts.